I think that dressing babies is so much fun, and I love choosing outfits for Zach to wear each day. 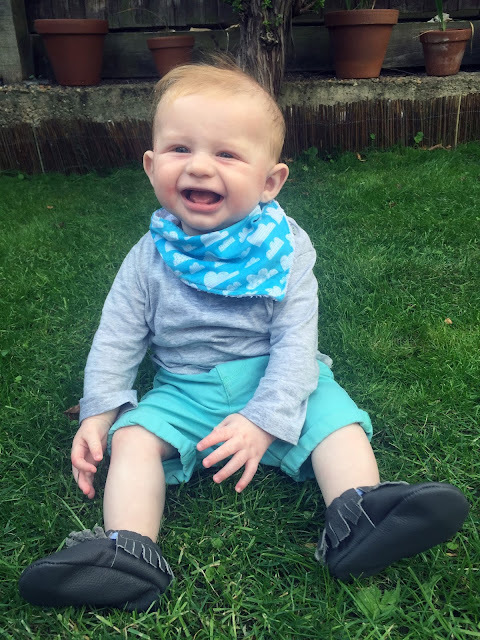 There are so many amazing retailers for baby clothes these days, and if I could I would spend an absolute fortune on dressing my boy. Jono always tells me that he's not a doll and I should stop fussing over what he wears! 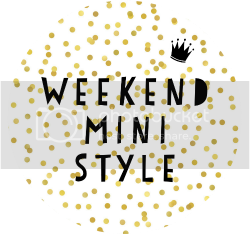 I thought it might be fun to start sharing his clothes on here, and will be linking up with Sarah from The Knott Bump & Us each week for Weekend Mini Style! 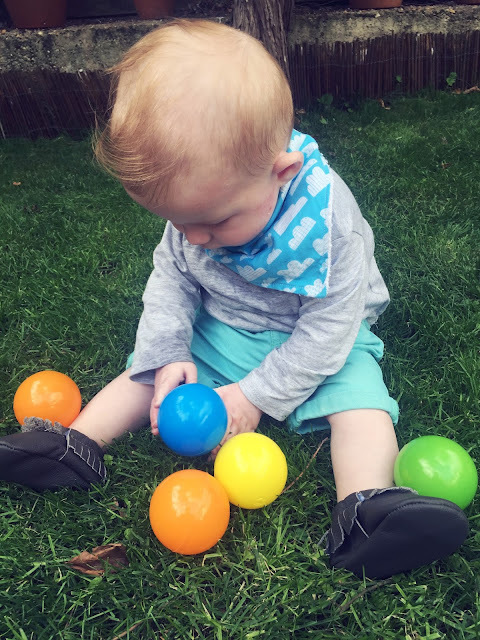 I am obsessed with these mint shorts from Tesco, and would dress Zach in them everyday if I could! They are so beautiful and summery, and an absolute steal for just a few pounds from Tesco. I buy a lot of Zach's clothes from there because they do some really nice bits which are really affordable. His dribble bib is from Max and the Star who make lots of different patterned ones, so you should go and check them out! I also love Zach's little moccasins which his feet are only just big enough for! I've been waiting for him to wear them since he was born! This is such a cute outfit ... 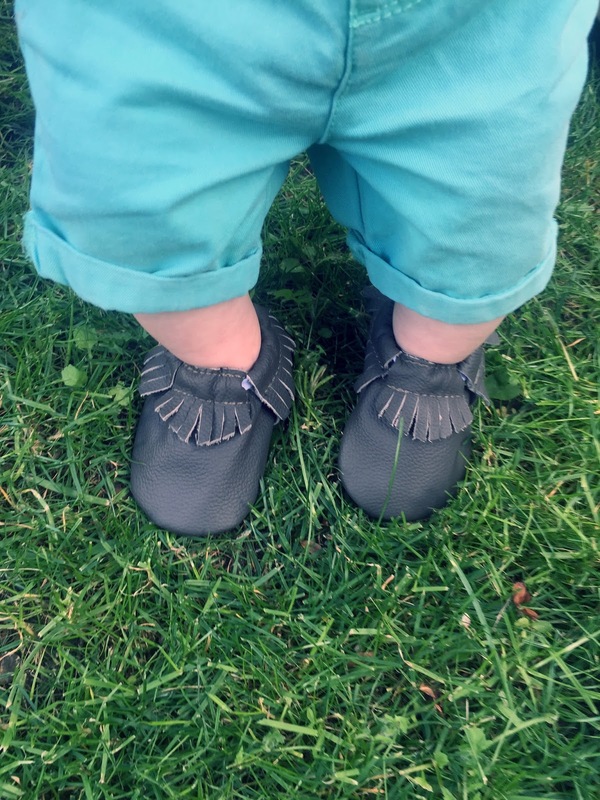 I love the shorts and bib, but the moccasins make it for me!